Featured next week at Comic-Con will be none other then Captain America. The Marvel legend made his film debut back 2011 in The Avengers. Now we are in phase 2, and the next adventure for the Avenger comes next spring in Captain America: The Winter Soldier. The movie will be featured next week at the San Diego Comic-Con; and Marvel Studios seems to be kicking things off with a teaser poster to the film. If you are looking forward to the film, then you may be disappointed with the poster. 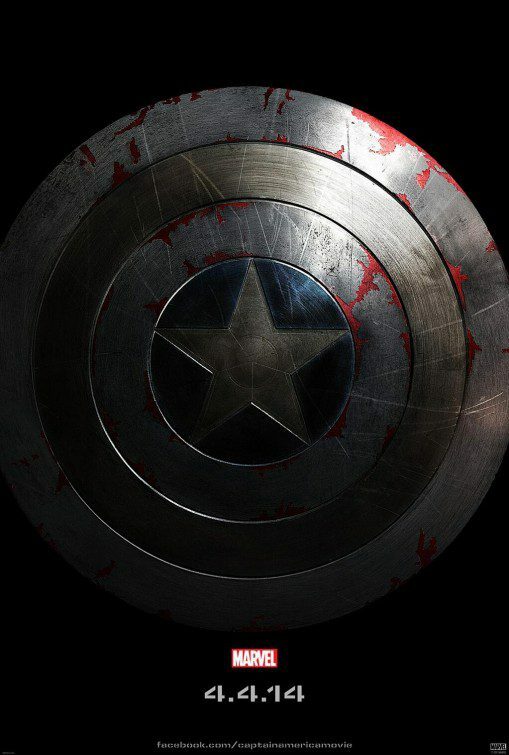 This teaser image does it job at teasing, as the only thing featured on the poster is Captain America’s shield. Granted, it is damaged, signifying that the Avenger is going to be in for one thrilling adventure. Nevertheless, it would have been great to see a little more. The Winter Solider continues the story of Steve Rogers, aka Captain America. After the events of The Avengers, Steve is trying to find his place in the world, as he is a man out of time. However, he will soon discover that the world will need Captain America when SHIELD calls him for help. Captain America goes off to stop a national threat, but on this mission, Steve discovers that the foe he faces is someone from his past. The film stars Chris Evans, Scarlett Johansson, Samuel L. Jackson, Robert Redford, Sebastian Stan, Anthony Mackie, Cobie Smulders, Frank Grillo, Georges St-Pierre, Hayley Atwell, Toby Jones, Emily VanCamp and Maximiliano Hernández. The poster’s release is the first promo, there will be plenty more to come. Perhaps we’ll soon see the first trailer for the movie. Thanks to Comic-Con, that’s a possiblity. Captain America: The Winter Soldier hit theaters April 4, 2014. And now: here’s the first poster to Captain America: The Winter Soldier.